The year 2018 marks the 45th anniversary of the diplomatic relations between Vietnam and Australia. In the last four decades, the relationship has grown from defense cooperation to a comprehensive partnership to a strategic one. 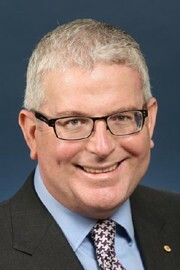 On the occasion of the Lunar New Year, Vietnam Business Forum has interviewed H.E Craig Chittick, Australian Ambassador to Vietnam. Thu Ha reports. The year 2018 is a key milestone for Australia and Vietnam as it is the 45th anniversary of diplomatic relations between the two countries. What would you say about the relationship between the two countries over the past 45 years? The Australia-Vietnam relationship has never been stronger. In 2018 we not only marked 45 years of diplomatic relations between our two countries, but also signed a strategic partnership. 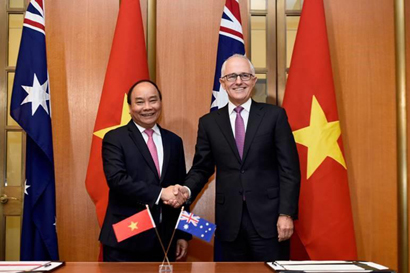 The elevation of our bilateral relationship to a strategic partnership during Prime Minister Nguyen Xuan Phuc’s official visit to Australia reflects the growing importance both nations attach to each other as partners. The strategic partnership builds on 45 years of mutual effort to deepen the relationship between our governments, businesses and people. Our growing cooperation under the strategic partnership covers the breadth of our bilateral relationship, including in trade, investment, development cooperation, innovation, regional security, law enforcement and defence. In practical terms, it means that our governments will be working closer together than at any other time over the last 45 years. For example, we have established annual meetings between our ministers responsible for foreign affairs and defence to discuss important issues facing our region and the world. Ministerial visits between our two countries are increasing as our leaders seek to exchange views and learn from one another’s experiences. The growing trust between our leaders will help us achieve our mutual vision for a secure, open and prosperous region. Importantly for VCCI and your members, trade and investment are at the forefront of our strategic partnership. Because of this, we are working to establish an inaugural economic partnership meeting. The meeting will help grow and structure our trade, investment and development assistance relationship, while recognizing Vietnam’s significant economic achievements since the doi moi reforms. The scale of these achievements necessitates a transition away from our traditional donor-recipient relationship towards a true economic partnership that is built on mutual respect. This transition will maximize economic opportunities for both our nations while continuing Australia’s long-standing support for Vietnam’s development. Our aid program will continue to work with various stakeholders in Vietnam to help improve its infrastructure, human capital and business environment, so that Vietnam can meet its aspiration of becoming an upper middle-income country by 2035. This is exactly the type of cooperation our prime ministers envisaged under our strategic partnership, and is only possible because of the hard work and commitment of both our nations over the last 45 years. Vietnam and Australia have signed many Free Trade Agreements (FTAs), including AANZFTA and CPTPP. How do you assess the role and meaning of these agreements regarding Vietnam’s economy in particular and the relations between two countries in general? Both Australia and Vietnam have demonstrated a strong commitment to trade liberalization and greater economic integration. We concluded the ASEAN-Australia-New Zealand FTA (AANZFTA) in early 2010 following a time of global economic crisis, and the CPTPP last year amidst trade tensions and rising protectionism. Vietnam’s participation in both of these FTAs will further its economic success – a success driven by an openness to trade and foreign investment, together with a commitment to ongoing market-based reforms. Australia has been a long-standing supporter of these reforms. The CPTPP will bring direct benefits to Vietnam through improved market access, increased foreign investment and accelerated domestic reforms in competition, government procurement, services, e-commerce, environmental protection, intellectual property and many others key areas of the economy. The agreement will create opportunities for Vietnamese companies to better integrate into global value chains and for the government to promote the development of Vietnam’s SME sector. According to Australian-supported World Bank economic modelling, the CPTPP will increase Vietnam’s GDP by 3.5% by 2030 once productivity boosts are included. The CPTPP will also boost Australia-Vietnam trade relations. Our bilateral trade in goods and services has doubled from AUD6.4 billion in 2010 to AUD12.8 billion in 2017. Vietnam is now Australia's fifteenth largest trading partner, and Australia is Vietnam's seventh largest trading partner. The complementary nature of our economies provides myriad opportunities to further grow our trade relationship and expand business-to-business linkages. What areas of cooperation are Australian enterprises interested in? Vietnam’s modernizing and growing economy offers many opportunities for Australian businesses and investors. Energy, for example, is one of the key sectors driving our strong bilateral trade in goods. Growth in Vietnam’s demand for coal has been so rapid that it has quickly turned from being a net coal exporter to being a net coal importer. As the second largest thermal coal exporter in the world, Australian coal is helping to meet this demand, with 4.5 million tons exported to Vietnam in the first 10 months of 2018 – a 48 per cent growth in volume compared to the same period in 2017. Australia’s LNG providers also stand ready to help Vietnam diversify its energy supply in the years to come. Other Australian export goods in the resources (iron ore), manufacturing (aluminium) and agriculture (wheat, live cattle, barley and cotton) sectors are helping fuel and feed Vietnam’s economic development, and in turn, helping to create jobs and trade opportunities in Australia. Similarly, our education services providers are benefitting for Vietnam’s growing demand for high-quality tertiary and vocational training. Australian firms are also investing more in Vietnam, with Australian investment exceeding AUD2.3 billion in 2017. Australian investment is quality investment, and we have a number of Australian companies with a long-standing presence in Vietnam. For example, SunRice has sourced rice from Vietnam for more than 10 years and has invested in research to develop higher value rice varieties. This means better returns for Vietnamese farmers. BlueScope Steel, which operates an AUD105 million world-class flat steel metallic coating and painting facility in Ba Ria-Vung Tau province, has invested heavily in workforce training and development to improve safety and productivity. And RMIT Vietnam has produced more than 11,000 job-ready graduates equipped with the skills required to help Vietnam’s economy grow and diversify. We have a rapidly growing economic partnership, and our economies are highly complementary. The challenge now is to take our economic partnership to a new level. On the occasion of the Lunar New Year, what message would you like to deliver to Vietnamese enterprises and Vietnamese people? I understand the Year of the Pig brings prosperity and luck. The past year has been a good year for the Vietnamese economy with an impressive 7.1 per cent GDP growth. This provides a firm foundation from which to continue Vietnam’s economic reform journey and to begin to enjoy the benefits of the CPTPP in 2019. I wish Vietnamese businesses and Vietnamese people a year of good health, fortune and success.